you write helps you display content and information for your users. Sometimes, however, you want a Weblog to gather information from users instead of giving static information to them. One of the most useful pages of any website is the HTML contact web form page. No website should be without a contact or feedback form. HTML Web form markup tags give you a healthy collection of elements and attributes for creating web forms to collect information from visitors to your site. 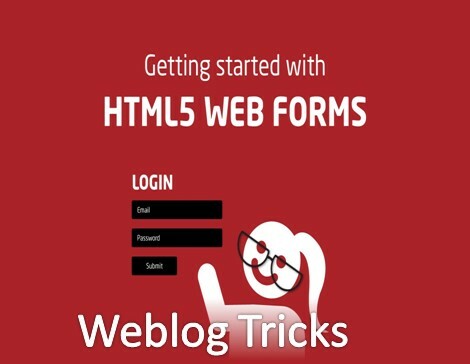 HTML Web forms simply place a handful of GUI controls on the user agent to allow the user to enter data. program that can do something useful with the data. 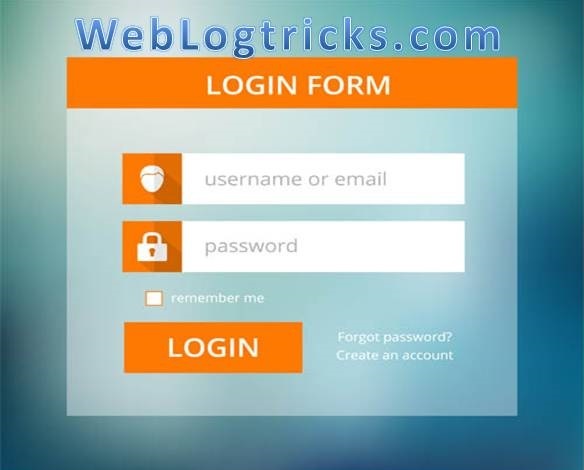 Such programs are typically referred to as Web form handlers because they “handle” the Web form data. You can insert a form into your document by placing form ﬁelds within <form> tags. All of the input elements associated with a single form are contained within a <form> tag. Get sends the form’s data to the form handler on the URL. Post sends the form’s data in the Hypertext Transfer Protocol (HTTP) header. *, GET request goes via URL. Previously its length was approximately 255 characters long, in the modern browsers its length is thousands of characters long (this is browser dependent). *GET request is sent via URL string and as we all know that URL can be text-only, so GET can carry only text data. *POST has no such restriction and it can carry both HTML texts as well as binary data. *No such luxuries with a POST request. *GET is the default method of the HTML FORM element. * To submit a FORM using POST method, we need to specify the method attribute and give it the value "POST". *If Get method is used and if the page is refreshed it wouldn’t prompt before the request is resubmitted. *If Post method, would prompt request before the request is resubmitted if the page is refreshed. * if the “form submission data” is without sensitive information. * If someone is requesting data from your application. •If the form is updating data or includes sensitive information ( like password etc ). •If someone is pushing (inserting or updating, or deleting) data to your application. • POST offers better security because the submitted data is not visible to the page address. different types of input, text area, and select. The input element is a way to take input from a user, creating a different form of control depending on the value of its type attribute. The other two, text area and Select, create the form just one control type each. but there are a few characteristics common to all these three. If all the inputted data in a form was sent without anything to identify each piece of data, a form-processing script wouldn’t know what piece of data is what. An input element with the attribute type=” text” is a single-line text box. the text is the default value for the type attribute (so you don’t need to explicitly use the type attribute if a textbox is what you’re after). value provides an initial value for the text input control that the user will see when the form loads. size allows you to specify the width of the text-input control in terms of characters. the max length allows you to specify the maximum number of characters a user can enter into the textbox. (usually asterisks or circular bullets, depending on the browser) will appear in their place. The idea behind this is that anyone peering over the user’s shoulder won't be able to see what is being typed in. By default, a browser will style this as a small empty square box, which, when selected, will display a “tick” inside the box. You can also specify that the initial state of a checkbox should be selected by adding the attribute and value combination checked=” checked”. If a checkbox is not selected when the form data is submitted, no value will be sent. selected will be turned off. You really need to use the value attributes here. common and easiest way is by hitting a submit button. will be sent to the value of the action attribute in the opening form tag. but a value can be changed with the value attribute. The reset input type creates a reset button, which, when clicked (or otherwise. when the page was first loaded. With both submit and reset buttons, the name attribute isn’t particularly necessary. Button input elements do absolutely nothing. The text area element is straightforward, having just one simple statement. data, usually with multiple lines. *A comment on a feedback form. Unlike the input element, text area has an opening and closing tag. Any text in between the opening and closing tag makes up the initial value of the element. from which one or more options can be selected. When the value attribute is present, its value will be sent instead of the option element’s content. ( eg. selected = ”selected” ). which are system defined variables that are accessible from anywhere inside the PHP code. when we have a GET field and POST field with the same name. Data returned from the client using the GET method, or as a query string in the URL, are stored in the $_GET.